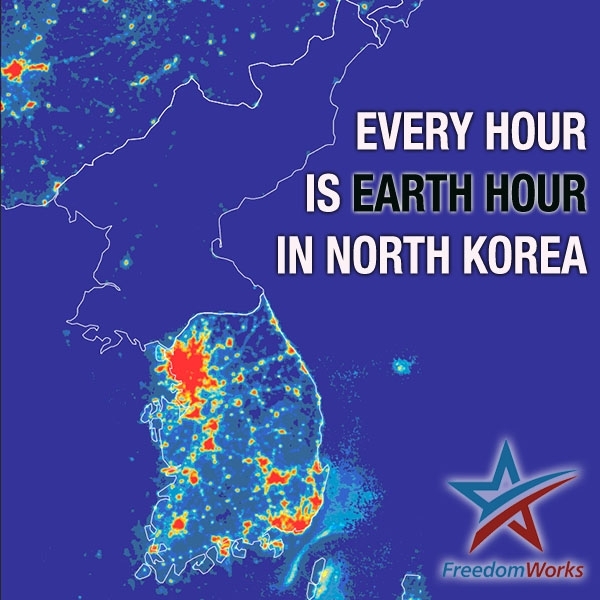 It's actually Earth Hour much of the time for a large portion of the world's population, and due to lack of resources. I didn't even know Earth Hour had happened, but I do know everything electrical I normally keep on at night, I kept on during that time. I agree mostly. However, should we not be looking at ways to make fracking more environmentally friendly? What about the huge amounts of scarce water being used and then disposed of? Could any of this be re-used after some purifying? Are we holding the producers to account regarding pollution they are creating? It's no surprise that many free-market advocates were worried by President Bush's speech on climate change last week (see here, for starters) -- I know I wasn't thrilled with it. But maybe he was hoping to bring some liberals (or, more likely, moderates) over to his side? Well, looks like his speech, which announced a goal of leveling off greenhouse gas emissions by 2025 didn't have much success. The UN is meeting in Bali this week. Can anyone say pina coladas and sunbathing?! What's Responsible for the California Wildfires? Most people think its the Santa Ana wind phenomena, combined with too much underbrush buildup from years of zero-tolerance policies towards wildfires. But yesterday, Sen. Harry Reid suggested global warming was to blame (and later backed away from that statement).